To secure and register your brand name it must be unique, not too similar to another registered Nebraska name, and shouldn’t contain any restricted wording. To check, conduct a Business Entity Search through state, and if there are potential trademark issues conduct another quick search using the TESS System through the U.S. Patent Office. Keep in mind your brand name should contain words like ‘Corporation,’ ‘Company,’ ‘Incorporated,’ or ‘Limited.” Abbreviations for these words are also acceptable. If needed, you can file an Application for Reservation of Corp Name through postal mail that’s good for 120 days. 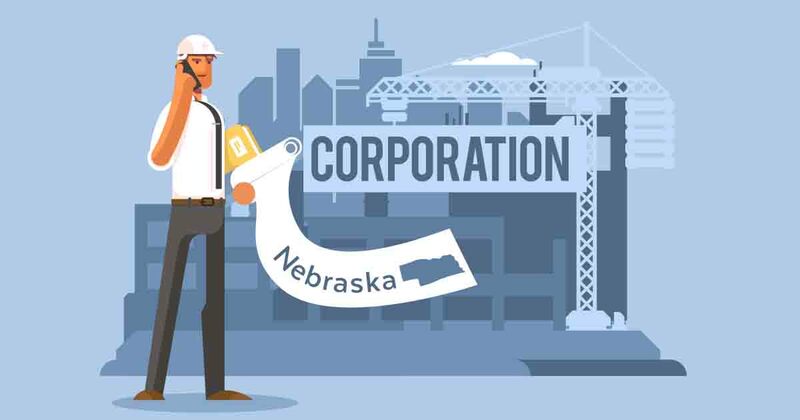 A Nebraska registered agent can be an individual resident of the state or a legally registered business entity with a physical street address and regular M-F business hours. On behalf of your brand they receive and help process important business documents like state filings, tax forms, legal notices and so on. They’re essential and required by law. That said, you can work with a professional and expect to pay up to $160/yr, or get a qualified agent free of charge when you Incorporate with Incfile or CorpNet. They handle this and much more depending on which startup package you opt for. Filing Structure: $60 for $10k or less authorized stocks, then $300 for up to $100k, $3 for every additional 1k. As your corporation gets off the ground, it’s critically important to keep business accounts/assets separate from any other. If you don't yet have a CFO or amazing accountant, shop around at different banks and credit unions to see who has the most to offer new corporate accounts. Bookmark the Omaha Small Business Administration and the state’s Business Services.